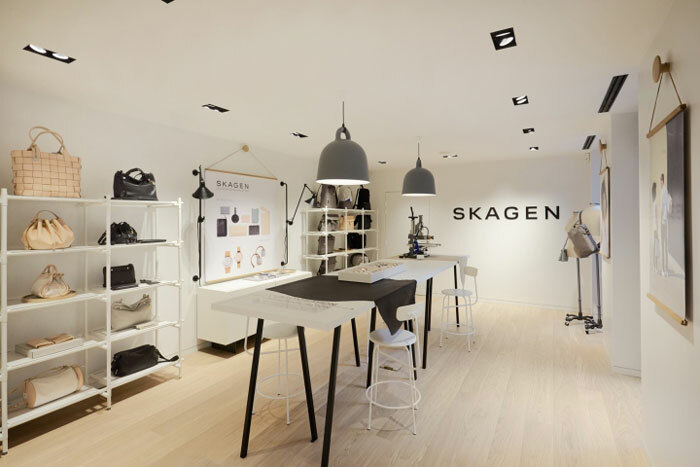 Skagen is a well-known fashion watchmaker from Denmark. 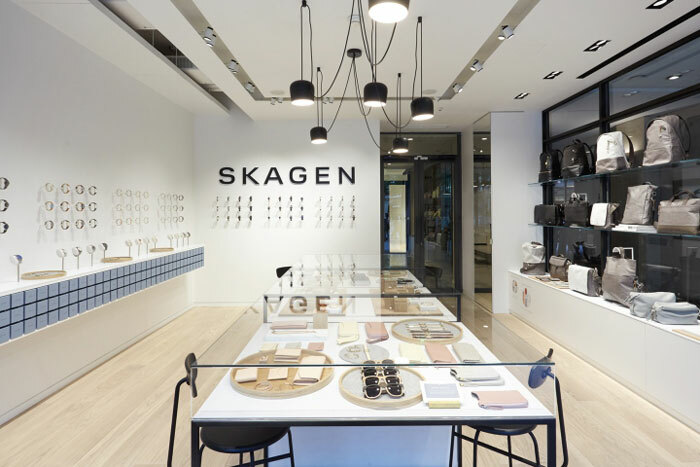 Since its acquisition by Fossil Inc. in 2012, it has been refreshing its brand identity and strengthening its positioning as a modern, Scandinavian lifestyle brand. 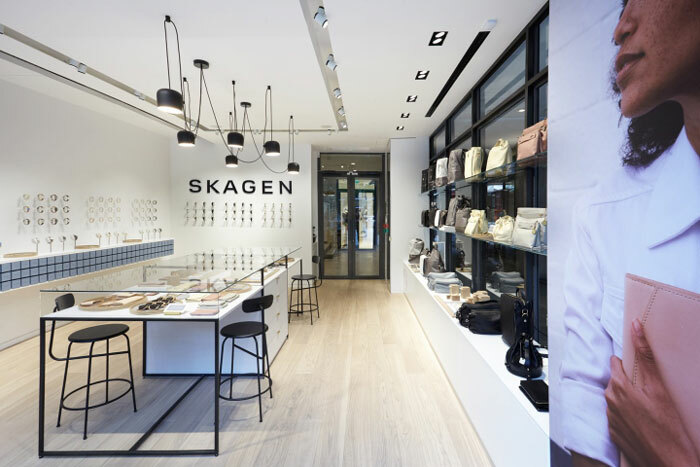 Skagen provides watches, jewelry and leather goods with clean, minimalist and timeless designs. 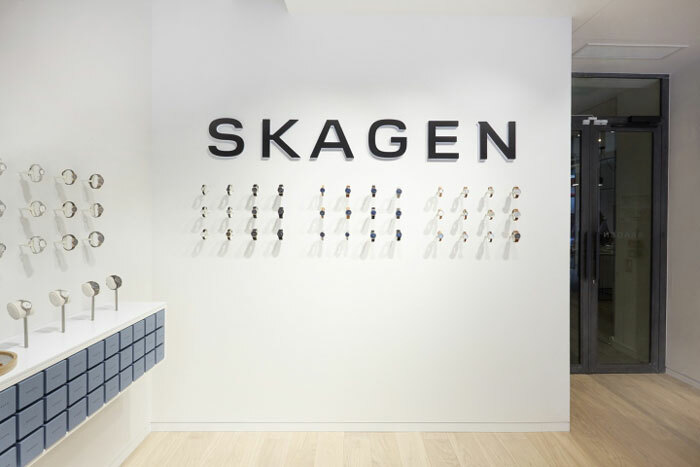 The new flagship store in Paris, France, fits the brand’s Danish aesthetic to a T.
Notice the watches are presented up on the wall rather than flat in a cabinet, behind glass – What a nice idea! 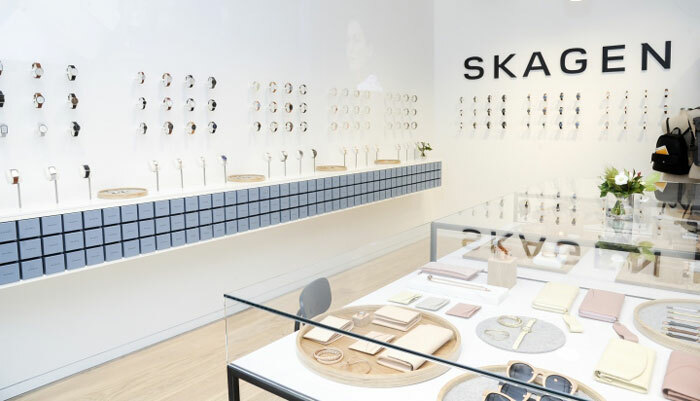 The beautiful floor is by Hakwood. 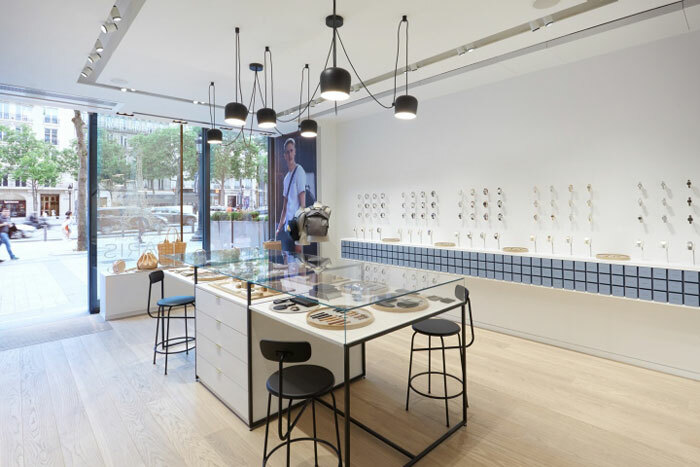 Contemporary furnishings were used in the space, such as Menu’s Afteroom stools, AIM suspension lights from Flos, and large Bell lamps by Normann Copenhagen.